This one is now on pre-order! Check the video for a preview of what it can do! Some extra pictures after the break. Introducing: Catalyst Controller. The next step in Melodic Turntablism. 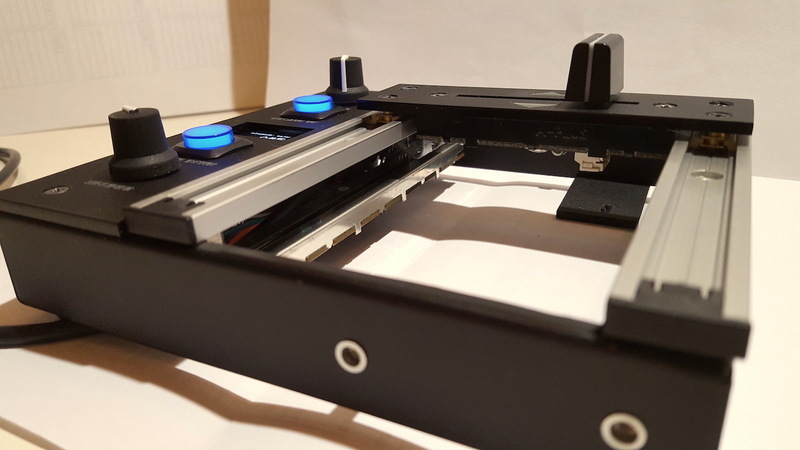 The video shows the first prototype which consists of 2 elements: a control panel (which can be placed on top of your mixer or next to it) and a x-fader housing. The firmware is based on MNF Pro mkii firmware with tons of extras. It is compatible with most MNF units, albeit in a limited fashion due to the extra controls in Catalyst. Pre-orders will start at end of February! Pricing tba. 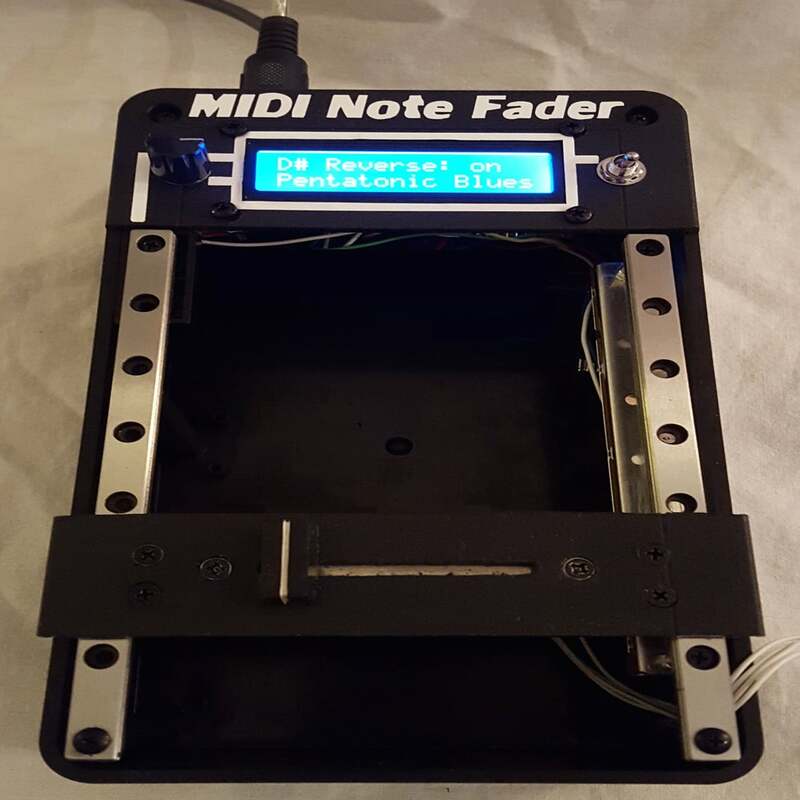 We have done quite some work on the modding front again, we are more active on Facebook so join the MIDI Note Fader group there if you want to know all about the latest! No MIDI Turntable? No problem! I know a lot of people out there do not have a MIDI turntable, but would love to use a MIDI Note Fader in their DJ and turntablist repertoire. The most common ones are the Vestax Controller one and PDX 3000. As Vestax is out of business these turntables are not being manufactured anymore and are hard to come by. However, using the MNF without a MIDI turntable is now a reality. It is compatible with both Traktor Scratch Pro and Serato DJ 1.9 and up with Pitch n Time extension. Let me start of with stating that the idea of controlling pitch of the turntable by vertical motion is not new. In fact, JohnBeez introduced the Fretless Fader a couple of years back already. There are also other initiatives under the notion of Syntablism where timecode vinyl is used to control a synth or vst on a PC. However, none of these ideas have been commercialized (yet?) so when Backtrack introduced the Midi Mod for the Vestax PDX 2000 about a year ago, I decided to create my own Midi Note Fader Mod. Pitch control is one thing, another is to actually hit the right notes with the pitch. The good old SL1200s can hit 6 notes, 3 in 33rpm and 3 in 45 rpm, and obviously you could do this with the pitch-fader on the turntable itself. Now for one, the 8% pitch in the Technics is limiting the creativity in that. Second, hitting the exact pitches by hand (fretless) is quite difficult. In order to overcome both of these issues there have been attempts of manufacturers to introduce turntables with wider pitch range (e.g. Vestax’s ultrapitch) and providing turntables with Midi control. This will allow you to, for example, play notes on a midi-keyboard and the turntable will change pitch accordingly to hit the right notes. Provided you have the right turntable with midi-in and a keyboard, you can play some tunes if you have a tone on one of your records. One big issue with this is that you only have two hands which I’d rather have on my vinyl and on my x-fader. In my opinion Vestax had a good try to fix this by introducing the Controler One turntable which included all kinds of buttons ‘close-by’ your vinyl-hand. But honestly, they go for USD 3000 second hand and that’s a bit of a stretch for me. 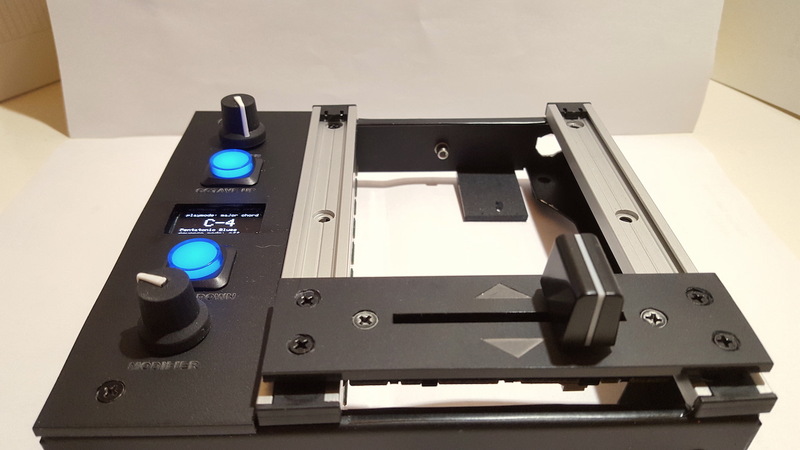 As I mentioned above it is now possible to mod the PDX2000 and PDX2000MKII Vestax turntables so that they will receive Midi-in for the Ultra pitch. As the PDX2000 turntables are used by a lot of turntablists, this can solve at least one problem for a lot of us, including me :). 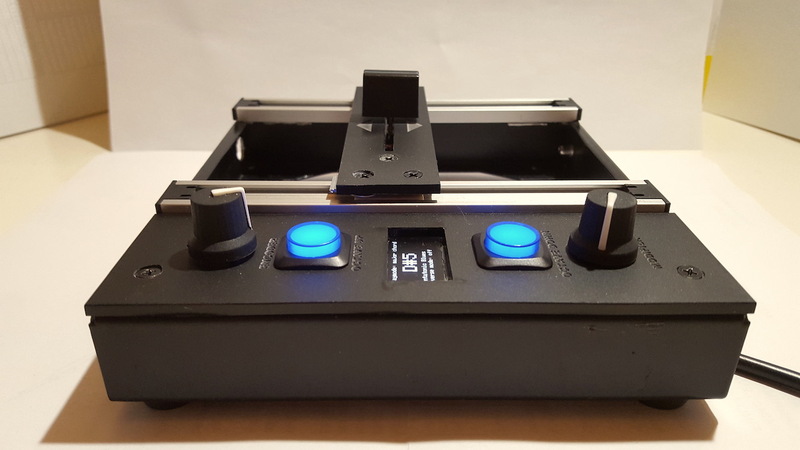 More info on the turntable midi mod can be found here http://pdx2000midi.eu.pn/. 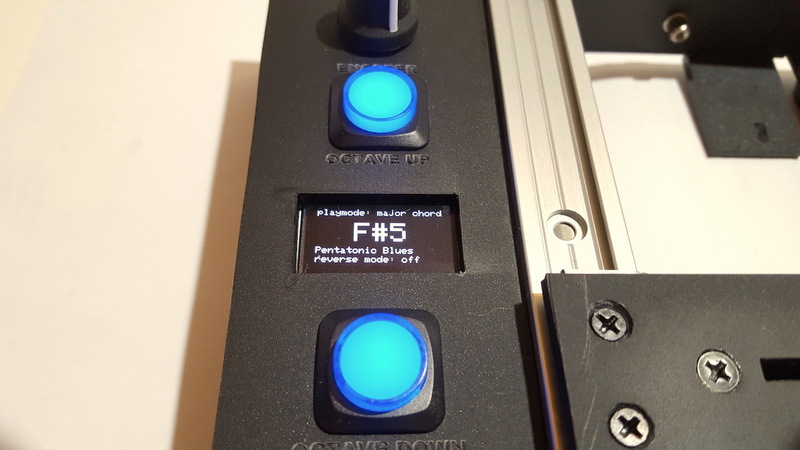 The mixer modification and the software that sends out the midi notes and other midi messages (like switching sample banks, effects in Traktor, and even changing note-scales on the fly) have been custom built by me for this mod. I am currently still exploring if this is the best solution for the mod, and how I will share this with the public. The Mod is still a beta version, and if you would like to attempt it be prepared that it will require some cutting of your equipment 🙂 Feel free to reach out to me for any questions.